Life insurers are boosting online sales and digitalization to transform and better satisfy customers. Having three life insurance policies with three different life insurers, Ms. Pham Hoai Thu, a 42-year-old bank officer working in Ho Chi Minh City’s District 3, has never felt it was complicated to follow the policies’ information or pay the monthly premiums. “I’ve never had to contact consultants or insurance agents to ask about my policies over the last five years because almost all life insurers have linked with banks to develop premium payments via internet banking and have periodically sent online information to policy holders,” she said. 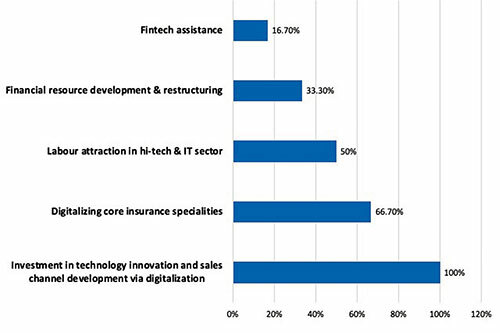 Many other customers in Vietnam with insurance policies have been actively taken care of thanks to facilities from fintechs (financial technology providers). Customers can readily go online to access data about policies and premiums or actually take out life insurance policies. Despite the model remaining in its early stages of development, with simple and low-value insurance products, online insurance is bound to become more popular in the near future, according to industry insiders. Both local and foreign life insurance companies in Vietnam have been stepping up investment in online business models. Foreign life insurers transferring their transactions to digital platforms include Prudential, Manulife, FWD, Hanwha Life, Chubb Life, and Generali Vietnam. Manulife Vietnam announced its EasyClaims service in late August, where customers receive support on its website in completing insurance claims. EasyClaims is one of Manulife’s first strategic moves in technology, to affirm its position in the country’s life insurance market. “Our AI efforts are mostly focused on servicing, in order to automate our back-end processes to boost efficiency,” said Mr. Kim Fleming, CEO of Manulife Vietnam. Since last year, the company has deployed a number of online apps and services on preparing insurance documents or making periodic premium payments. In particular, it initiated online insurance trading services by launching three different types of flexible insurance products priced between $27 and $66, offering exclusive benefits on the online trading platform. Hanwha Life Vietnam is also investing in technology and infrastructure. It recently launched JetClaims, an automated claims authorization program that allows customers to receive insurance benefits immediately. The unique feature of the program is “fast, simple and convenient”, as all procedures are completely automated, providing instant results, and customers can receive instant cash compensation in its customer service center. Previously, Generali Vietnam in April introduced its new application, GenClaims, which pares down the duration of the claim process and in turn reduces the notoriously long waiting time. Once claim requests are lodged, customers will receive a response from the insurer within 30 minutes. In most cases, insurance claims will be accepted and paid within a day. The Italian life insurer in early September launched a new cancer insurance product, Vita - La Chan Vang, and targets selling online soon. Customers need only answer some questions and the policy will be automatically issued rather than months later, as before. A newcomer in Vietnam’s life insurance market, FWD is nonetheless one of the first life insurers to offer online sales and issue online contracts, cutting out insurance agents. “Our digital focus helps us be 100 per cent paperless and 100 per cent cashless,” said Mr. Anantharaman Sridharan, CEO of FWD Vietnam. It recently launched an online purchasing option for “FWD cancer care”, a life insurance package that promises customers are paid the entire sum for cancer diagnosis at any stage. 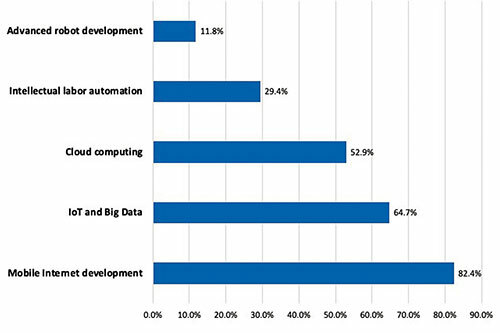 A recent survey on life and non-life insurers in Vietnam conducted by Vietnam Report and released in June revealed that 82.4 per cent of insurance companies said they were building a Mobile Internet development strategy, and 67 per cent have adopted strategies based on two key factors in Industry 4.0: the Internet of Things (IoT) and Big Data. Along with its claims program, Hanwha Life is also investing in building an e-submission system, enabling agents to apply for insurance online. The system is also a tool to handle pre-insurance assessments and also supports the finding of potential customers. In the future, e-submission will not only be deployed for agents but also for customers. Mr. Kook also revealed that the insurer is now building and developing the sales channel and we will soon introduce it to the market to meet the needs of users. As the first life insurer selling insurance products online, in addition to bancassurance and wholesale distribution channels, the US-invested insurer Prudential has been the first and only life insurance company in the market to publish its own e-commerce website, ePrudential, with only four simple steps needed to access and pay online. At ePrudential, the company has introduced a cancer insurance product, Pru-iProtect, which is completely online and with a single underwriting question. According to Prudential, insurance firms will also be required to consider strategic partnerships with e-commerce firms in order to digitalize their conventional insurance business. The “Vietnam’s Life Insurance Industry - Digitalization Trends” report released last year by the research, consulting and education firm Fintelekt found that life insurance companies in the country are still in the early stages of digital adoption and are contemplating a planned and cautious approach to digitalization. After some two decades of availability, the proportion of Vietnamese people with life insurance products is still low, according to the Insurance Association of Vietnam (IAV). The total number of valid main contracts is around 7.8 million, or only 1 per cent of GDP. Meanwhile, the rate is 2.4 per cent and 4 per cent in Indonesia and Thailand, respectively. In the context of Industry 4.0 and the expansion of e-commerce, insurance companies cannot stay out of the race. Online insurance investment is long-term, not an overnight game, and is for those who have strong resources and consistency in their strategies to promote digital solutions, improve the customer experience, and make long-term commitment to customer excellence.